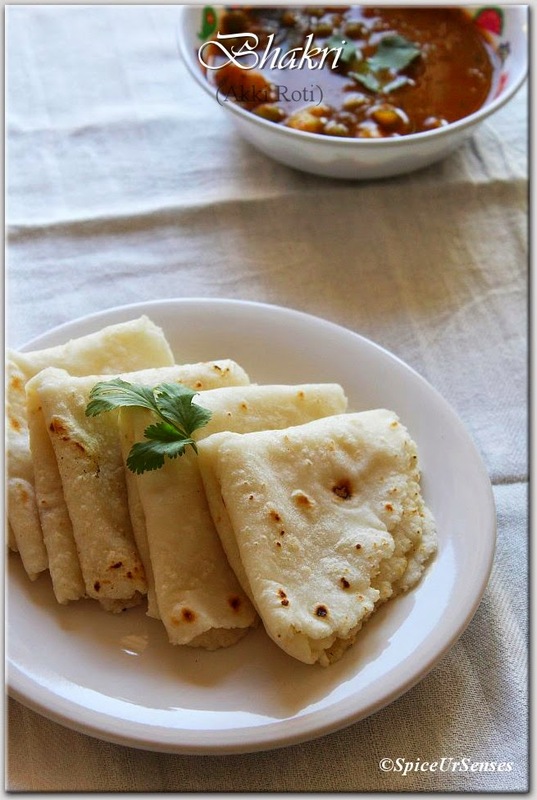 Rice Bhakri is very popular in coastal part of Maharashtra. 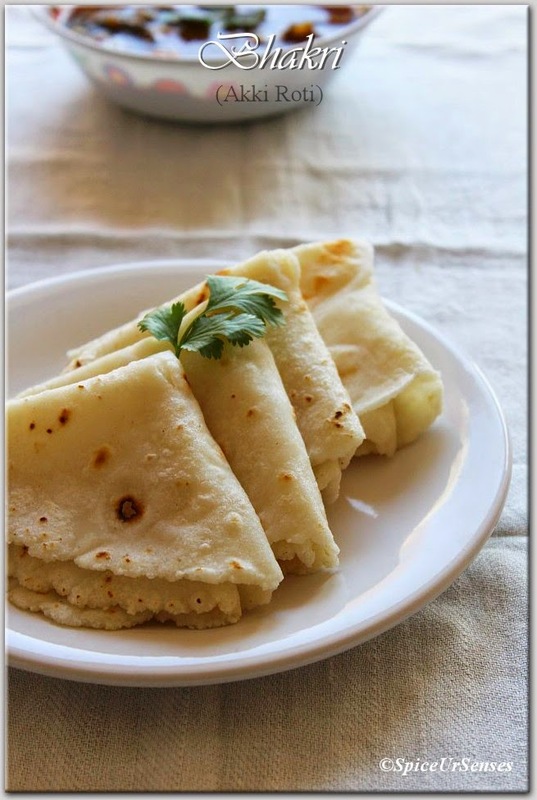 It is made using rice flour and It goes really well with veg or non veg curries. 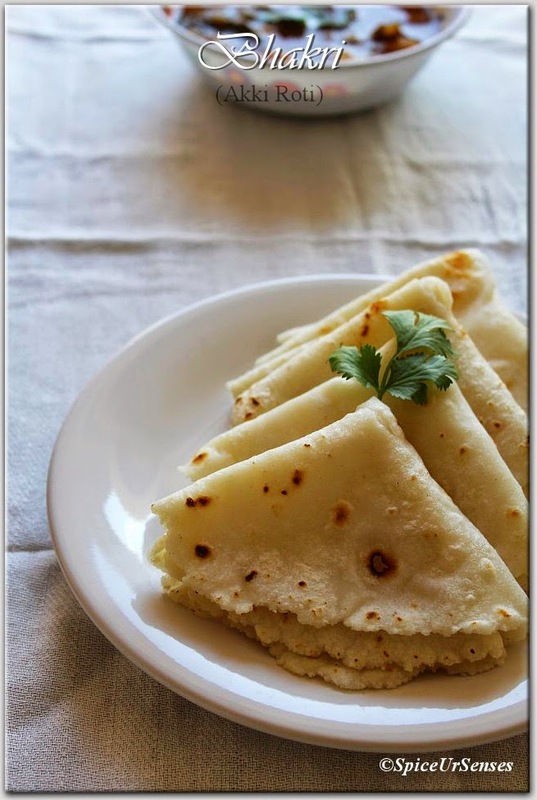 I had a very bad experience making this bhakri first time, but I did not gave up, I kept trying and trying. Finally after 2 attempts they came out very well and tasted also very good with chicken and potato and green peas curry. Bring water to a rolling boil. Add salt and rice flour, mix well until no lumps remain. Turn the heat off. 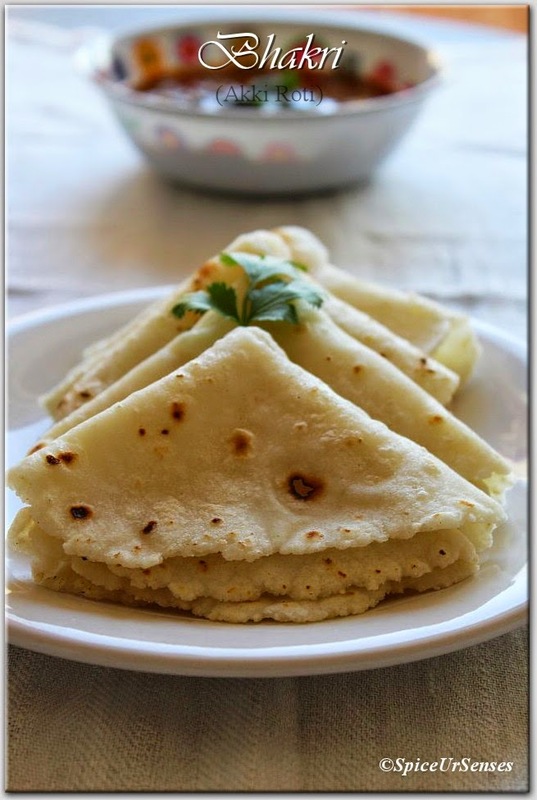 Knead the dough while still hot until it gathers into a soft pliable dough like a chapati dough. Heat a tava on medium. Once heated, turn the heat to low. Divide the dough into 2 inch balls and keep them covered under a damp cloth or a paper towel. Spread some rice flour on the rolling board. Place a ball in the center and sprinkle more flour on top. Keep rolling the ball with the rolling pin into a thin circular disc of even thickness. Transfer onto the heated tava with the top surface up and cook the bhakri both the side. Follow rest of the method same as above. 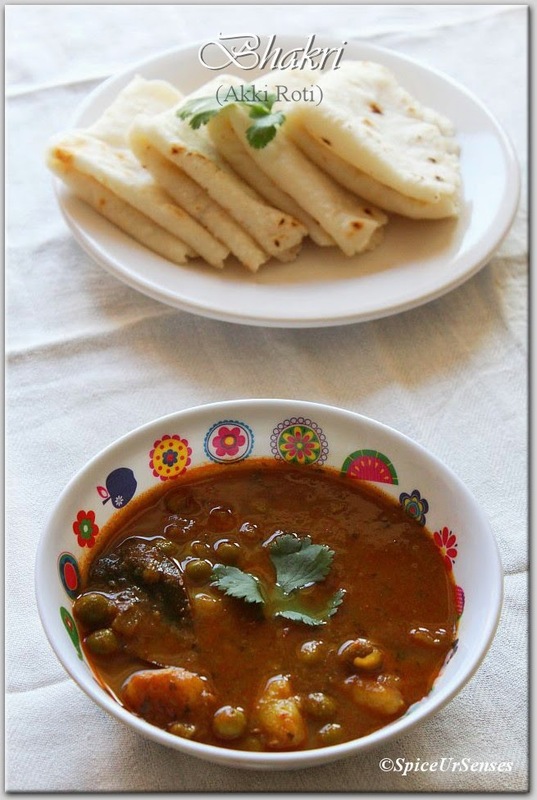 Serve hot with any Sabji or Chicken, Mutton curry.